Newcastle-based architectural practice, JDDK Architects, secure planning permission on behalf of the Sue Ryder for an innovative Neurological Care Centre in the Eastway development area in North West Preston. The Sill National Landscape Discovery Centre is one of twelve buildings shortlisted for RIBA North East Awards 2018 by Royal Institute of British Architects judges. The winners will be announced at an awards ceremony at The Museum Gardens, York on 24 May. 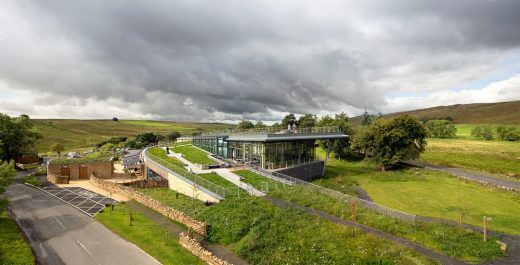 Northumberland National Park Authority’s The Sill: National Landscape Discovery Centre at Once Brewed has been shortlisted for a prestigious national RTPI (Royal Town Planning Institute) Award in the Excellence in Planning for Heritage and Culture category. The Sill opened to the public on July 29th. Work to demolish the St. Columba’s hospice commenced in May 2012. March 2, 2018 in Architects.